Gita Jayanti was observed in the Vidyalaya to remember the sacred day when Lord Krishna gave the immortal message to Arjuna in Kurukshetra. 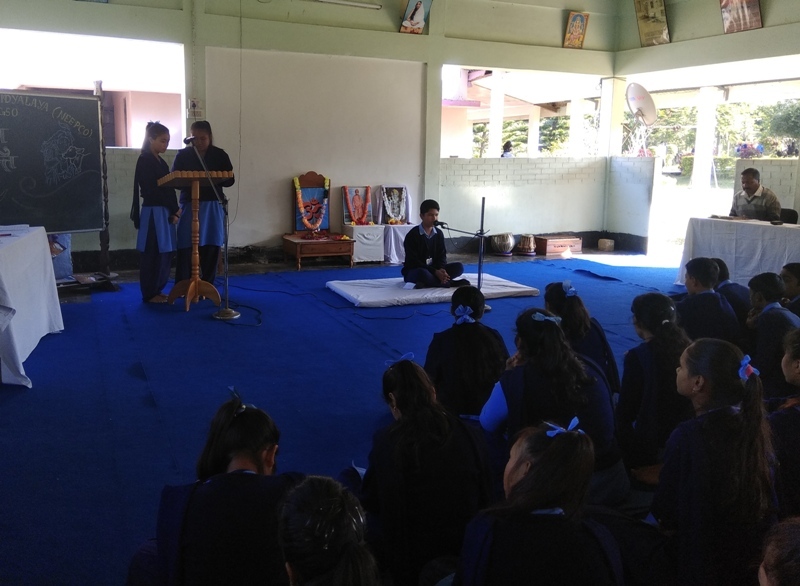 The programme began with offering of flowers at the feet of Lord Krishna by Sri S Dubey (Sanskrit teacher). It was followed by a speech delivered by Sri S Dubey. In his speech he explained the importance and the advent of “Bhagavad Gita – The Song Devine”. 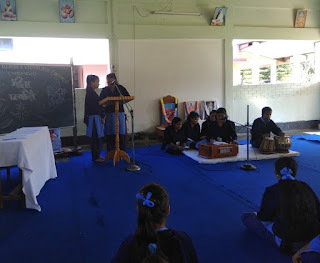 Then the selected students took part in Gita chanting competition. The Principal of the Vidyalaya at last spoke a few valuable words to inspire students to learn lessons from the great book. He highlighted the encouraging, wise, motivating and hope giving conversation between Lord Krishna and Arjuna that influences millions of people.